Those of us with busy lifestyles and little ones around to keep an eye on twenty-four seven will know how difficult it can be to earn a little extra money. But the good news is that nowadays making money from home is easier than ever. With the rise of online marketplaces such as eBay, Etsy, Depop, and Folksy, you can easily sell pretty much anything from the comfort of your own living space. Whether that’s kids’ clothes that your little ones have grown out of within a couple of wears, the technology that you’ve upgraded on, or bits and bobs that you’ve made yourself. However, one of the most important things when operating on these kinds of sites is communicating effectively with your customers and potential customers. This can save you a whole lot of hassle in the long run. Here’s how. The majority of the time, transactions online will go smoothly and both you and your customer will be content with the process and outcomes. However, every now and then you may find yourself confronted by a difficult customer. Sadly, there are always people out there who will attempt to get something for nothing. They may claim that you missold a product; that what they received wasn’t what they expected. In cases such as this, they will generally file a complaint and receive a refund. There’s rarely little that you can do about this, as sites tend to prioritize the customer’s wishes and demands. The best way to prevent these situations from arising is to give complete and thorough product descriptions with plenty of photos. You can also keep in touch with customers who you’ve had a good experience with by requesting that they sign up to email marketing lists linked to your products. This gives you their contact details to be able to recommend certain new listings to them. When writing a product description, it’s important to be as thorough as possible. List the product name, brand name, and a complete description of what you are selling, including details of its condition and any faults that it may have, no matter how seemingly minor. You can also let potential buyers know how old it is or how many times it has been used. If the item is clothing, list sizes, and measurements. If it is a product that requires batteries or other components, let potential buyers know whether it will come with these or if they will need to purchase these themselves. Take numerous photos of your item from various angles. Try to take them in natural lighting, so that the colors are represented as closely as possible to the true shade. If it’s clothing, show pictures of it on. Also take close up shots of any marks, tears, or other problems with the item. This may seem a little over the top, but putting in a little effort beforehand will truly save you time, effort, and money on returns and disputes. 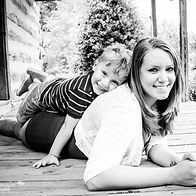 This entry was posted in Mommy Blog and tagged home work, selling online, stay at home mom, work at home.